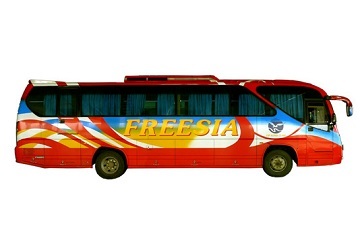 Freesia Sdn Bhd is an express bus company based in Sarawak, Malaysia. It has been operating in the express bus industry for more than 10 years and it is one of the well-managed express bus companies popular at Borneo Island. Freesia Sdn Bhd offers over 90 bus routes daily within Sarawak. It offers bus routes across Bintulu, Miri, Kuching, Sarikei and Sibu. The price range for the bus tickets from Bintulu to Miri is RM27 per ticket, Kuching (RM70 per ticket), Sarikei (RM38 per ticket) and Sibu (RM27 per ticket). Besides, the price range for the bus tickets departing from Miri to Sarikei is RM 60, Bintulu (RM27 per ticket), Kuching (RM90 per ticket), Sibu (RM50 per ticket). Besides, Freesia Sdn Bhd also offers bus routes from Sarikei to Kuching, Bintulu, Miri and Sibu. The price ranges of the tickets are from RM 10 – RM 60. 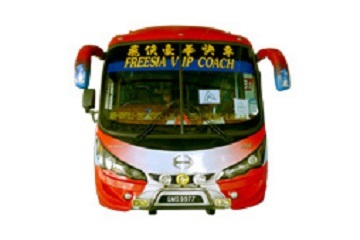 In addition, Freesia Sdn Bhd also offers bus service from Sibu to Miri, Kuching, Bintulu and Sarikei. The price ranges of the tickets are between RM 10 to RM 50. Freesia Sdn Bhd buses are equipped with air-conditioning, comfortable seats and on-board TV. 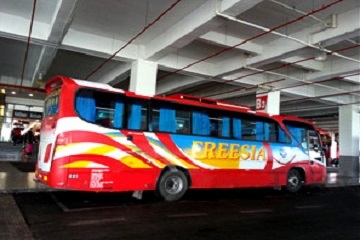 The buses from Freesia Sdn are in single deck with 44 seats. All of the drivers are well trained and professional to provide passengers the best and safest journey. Lot 832, Shang Garden, Pujut Road, 98000 Miri, Sarawak.